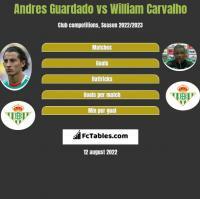 Andres Guardado plays the position Midfield, is 32 years old and 167cm tall, weights 63kg. 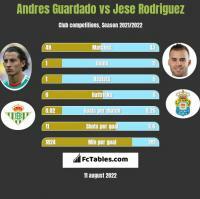 In the current club Real Betis played 2 seasons, during this time he played 66 matches and scored 2 goals. 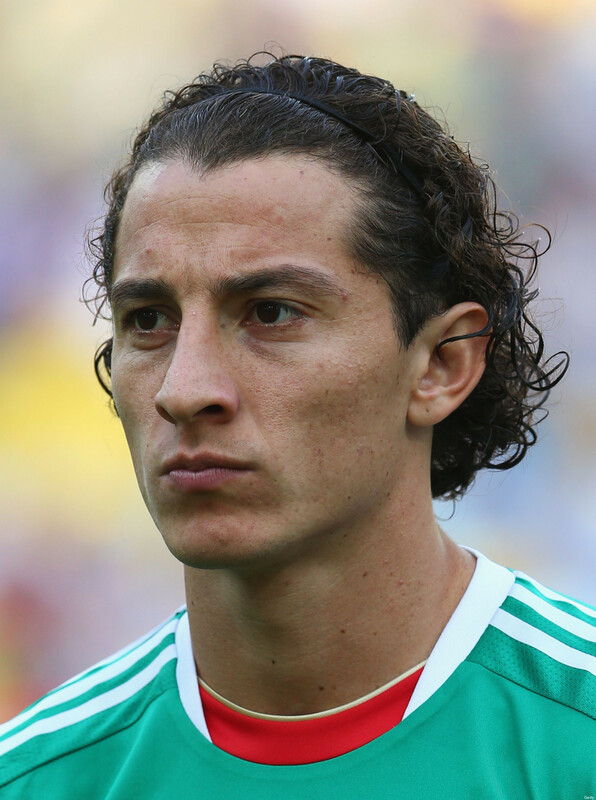 How many goals has Andres Guardado scored this season? In the current season Andres Guardado scored 0 goals. 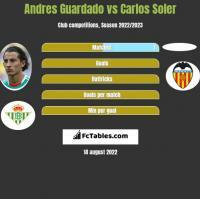 In the club he scored 0 goals ( Europa League , La Liga, Copa del Rey). 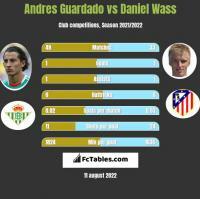 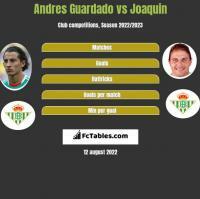 Andres Guardado this seasons has also noted 3 assists, played 3846 minutes, with 31 times he played game in first line. 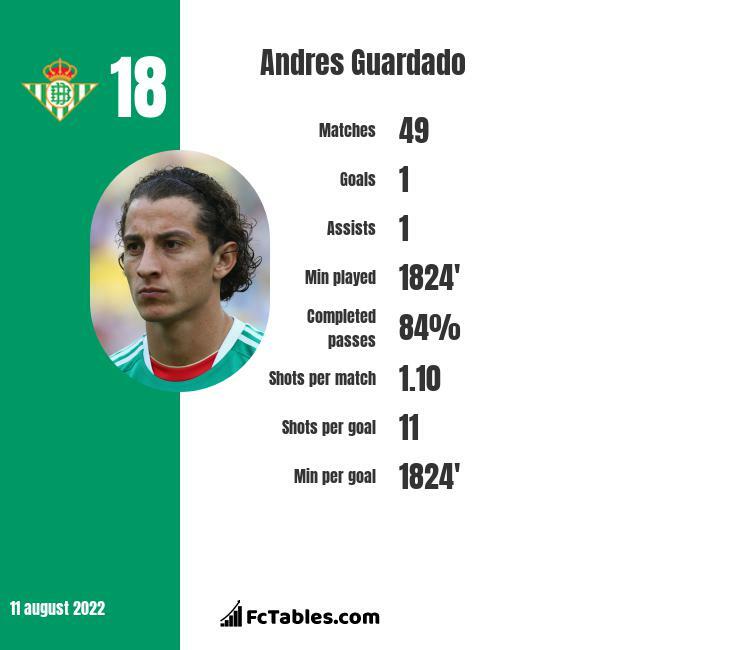 Andres Guardado shots an average of 0 goals per game in club competitions. 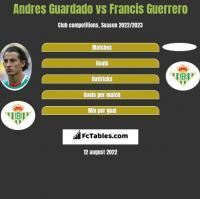 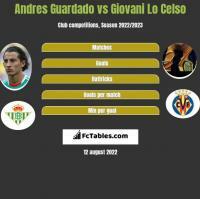 In the current season for Real Betis Andres Guardado gave a total of 34 shots, of which 4 were shots on goal. 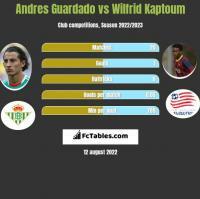 Passes completed Andres Guardado is 88 percent.